A good fighter will never beat a good boxer, or so they say. That was the reason that Floyd Mayweather managed to get to 50-0, and it was the reason that George Groves so easily beat Chris Eubank Jr in the semi-final of the World Boxing Super Series. It was a chastening loss from which Eubank may never truly recover, as he continues to live in the shadow of his illustrious father. His next fight will represent a huge gamble either way. A return to basics, in which Eubank faces an inferior fighter, is only a short-term solution. Yet, one more pasting will likely discredit him forever. Following Eubank’s defeat to Groves, his record stood at 26-2. While those two losses (the other against Billy Joe Saunders) came against world-class opponents, Eubank found himself out-boxed in a manner ill-befitting of the family name. Worse yet, Eubank also saw fit to criticise Groves’ techniques, while also accusing him of using his head to re-open a devastating eye wound. Nothing untoward was found thereafter, and the result stood without question or appeal. In a business where results will always count for more than showmanship, Eubank’s plaintiff cries have fallen on deaf ears. Now, questions must also be asked of the coaching techniques being used to bring out the best in the talents Eubank undoubtedly has. Indeed, George Groves’ own trainer has publicly criticised the Eubank camp for a trainer-less approach to fight preparation and suggested that Eubank returns to middleweight in order to make the most of his career. Physically, Eubank is in excellent shape, but his mind is still below par. Working with a world-class boxing coach on strategy, ring craft and defence will ultimately change that, and only then will he become the boxer that he thinks he is. Eubank undoubtedly has the raw attributes needed to be a genuine superstar. His hand speed is phenomenal, his chin is solid, his work rate is incredible and his shot selection can be perfect. However, as evidenced by the defeat to Groves, he lacks the boxing intelligence required to move up the divisions effectively by in-fighting bigger opponents. Additionally, when facing Saunders he couldn’t work him out until late on, and against Groves, he fought at the range his opponent wanted to fight at. 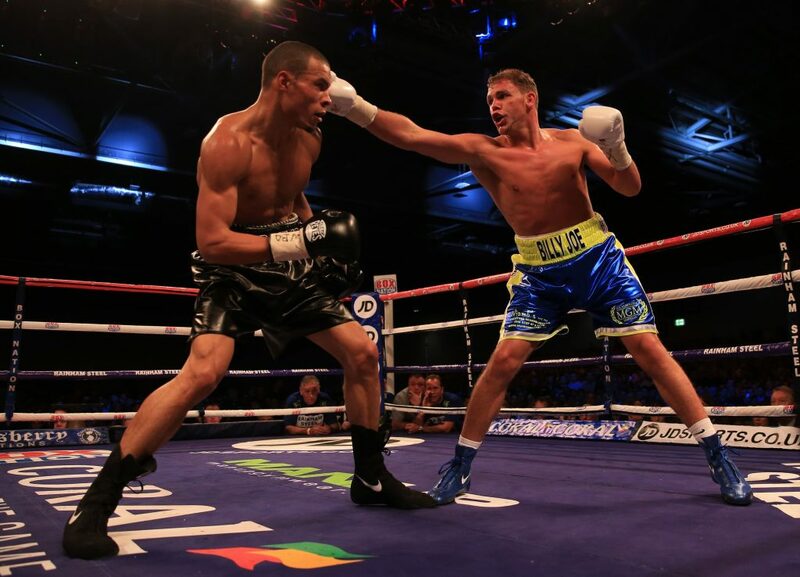 Chris Eubank Junior (left) in action against Billy Joe Saunders during their British European and Commonwealth middleweight title fight at the ExCel Arena, London. In both of Chris Eubank Jr’s defeats, the opposition had a game plan, and he allowed them to execute that without coming up with any answers. He was taught a boxing lesson by Groves, but whether he was paying attention to that lesson is another matter. He has fought a number of good fighters, which shows his credentials. The likes of Yildirim, Abraham, O’Sullivan and Chudinov all had great records before they were easily beaten by Eubank Jr. The question now comes to why Eubank lacks so badly against top-level opposition and looks as unlikely as ever to break the ‘glass ceiling’. Referring back to the opening statement, a good fighter will never be a good boxer. In order to become a better boxer, he must build from the ground up, with painfully simple changes. In addition to appointing a world-class boxing coach, Eubank must jettison the family connection once and for all. Some are of the opinion that Eubank is an arrogant fighter, and while that in itself can be ruinous to even the most promising career, he also needs to stop his father from essentially micro-managing his career. I don’t know where Chris Eubank Jr lies… I don’t even know if he’s at European level. All this Instagram and social media and it comes to the fight and it’s a complete flop. If he was to be coached correctly then he’d stand a chance to improve and be ranked among the likes of Groves, and maybe higher. He has the potential, but how much he can improve is unclear until he is coached the right way. However, social media can also be another distraction for boxers. Back in 1976, when Rocky first hit the big screen, one of the most famous lines from that film was “women weaken legs.” Some more traditionally-minded boxing experts might still agree, but now it is very much the pressure to make an online persona that can have the same effect. A boxer’s career is short, and while successes in the ring will always beat followers on social media, its popularity cannot fail to at least make a minor impact on a boxer’s marketability after retirement. In many respects, Eubank is a victim of circumstance, but there is no point looking good on Instagram if you can’t look good in the ring. Against the likes of Yildirim he can look great, but against the likes of Groves, he would be made to look average. Where Eubank stands as of April 2018 makes any lingering links to a Gennady Golovkin bout nothing short of disturbing, and if he was to fight the Kazakhstani, he would most likely be destroyed. 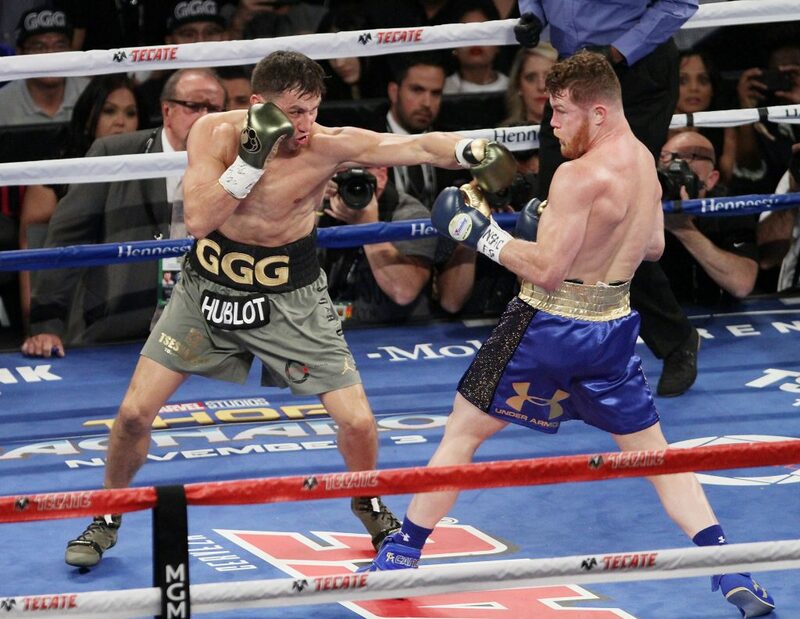 Canelo Alvarez and Gennady Golovkin battle to a 12-round draw in their Super Middleweight championship bout. Where Chris Eubank Jr goes from here is unclear. If his self-importance has been sufficiently deflated after losing to Groves, then Eubank could do worse than to move down to middleweight, stay there, and rack up some wins under a reliable trainer. Then he may have just enough time to make a serious push for a rematch with Groves before the end of the 2010s. It’s possible that he will be a genuine world champion one day even if he doesn’t improve, as titles will become vacant and shock results will unfold, but he can’t rely on that happening. In any case, such a surprise title win would lead to a short-lived defence. While he’s clearly good enough to beat fighters outside the top ten, a lot of work is required if he wants to aim for the top. That wouldn’t constitute working on a pad machine in a gym – the problems lie within his psyche. He can keep contending for world titles as he’ll always be among the ‘best of the rest’ within current standings. He’s probably the best fighter that Groves has beaten, and the same could possibly be said of Billy Joe Saunders. He is not currently at that level and will keep losing to world-class fighters if nothing changes.